If you are a clinician treating musculoskeletal problems, then these authentic McConnell taping videos are very useful post workshop reminders of how to tape to unload a patient’s symptoms. Your treatments will be more effective, as the patient will remain with reduced symptoms or even symptom free for a longer period of time. 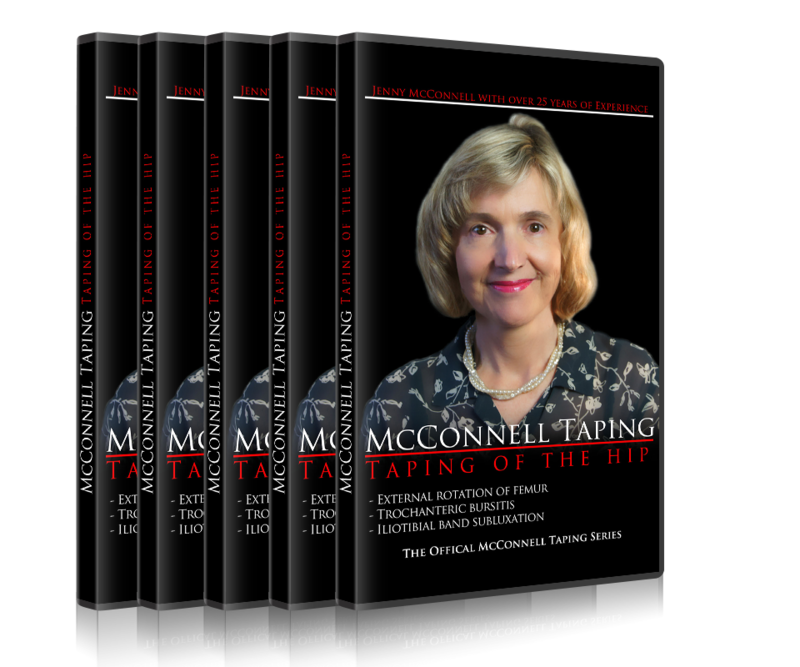 The taping videos, which you can rent online or purchase on DVD, will guide you with the indications for the specific taping techniques and show you in detail how to apply the tape. The professionally produced video series includes the knee, shoulder, spine, hip and lower extremity (more information below). Alternatively, you can purchase the full collection on DVD. You will find the taping videos a useful inclusion in your treatment arsenal. Your patients will be pleased with your newly refined or acquired skills. 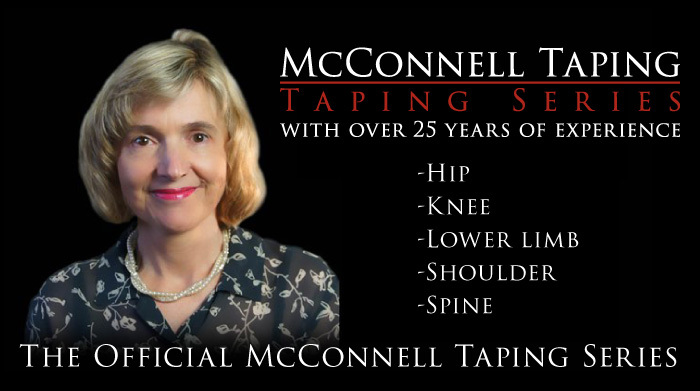 You will be amongst the many others who have found that McConnell taping dramatically reduces pain. 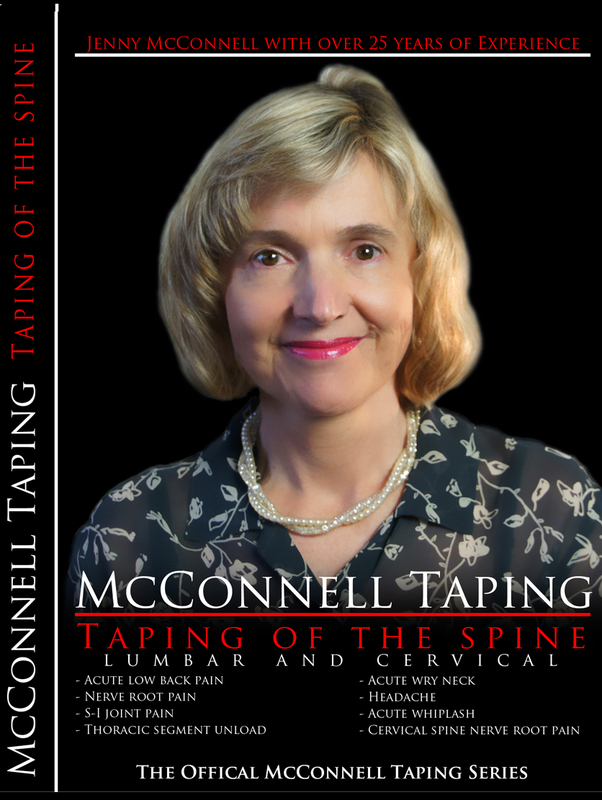 So why don’t you rent a taping video today to improve your patients’ outcomes. One taping segment costs less than one treatment (price A$40). One body series such as knee or spine costs only two treatments (A$180). 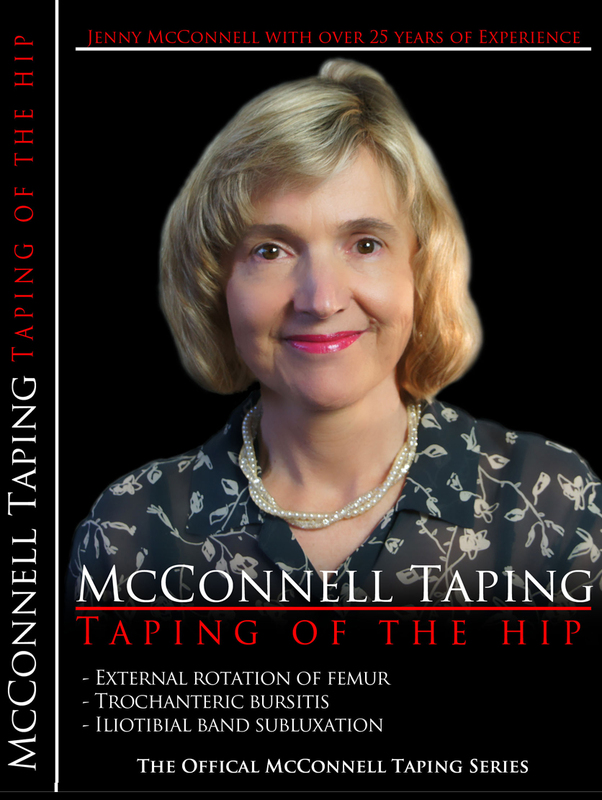 The entire series of videos, so you can tape the most commonly occurring musculoskeletal problems, is less than a day’s work (A$800) and you will see what a great benefit it is for your clinical practice. (plus postage – A$20 inside Australia, A$40 outside Australia). Alternatively, you can rent the videos online. Rent a specific body series online for A$180/month and/or an individual taping segment for A$40/month using the links below. Alternatively, you can purchase the DVDs for A$1000 + postage here. 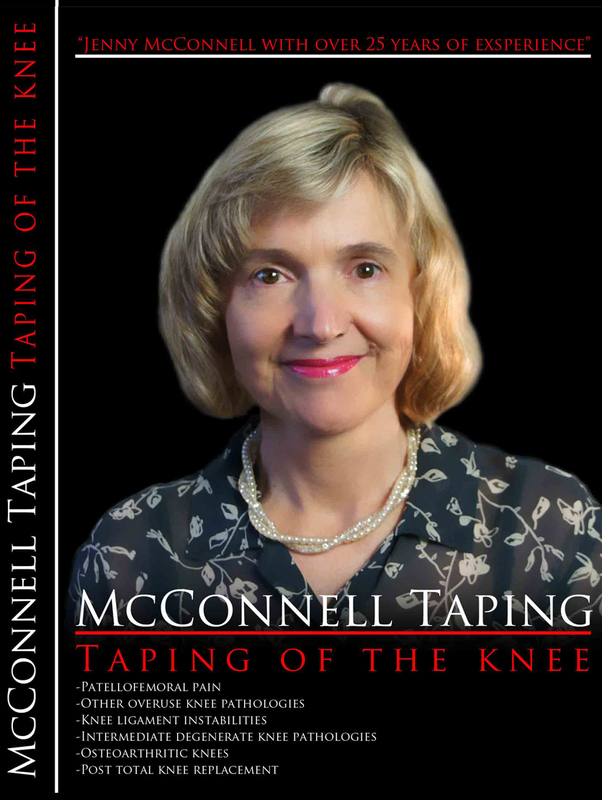 You will have seen knee taping at some stage in your career but, are you frustrated by the recalcitrant pain of some patients, or disillusioned with your management of an osteoarthritic knee, a PF dislocation, or do you just want to increase knee range of motion for a total knee patient without causing too much pain? Then, you will enjoy this series of videos, which will demonstrate the intricacies taping for many different knee pathologies and give you some new management strategies. Have you been stumped by how to help acute and chronic spine pain? Rather than apply a simply hands off approach, this series of videos will show you how to unload cervical and lumbar nerve root pain, manage acute whiplash and headache, as well as, acute low back and SI pain. So if you feel you need some new ways of managing spinal conditions and maintaining treatment gains, this video series is a must for your collection. Are you frustrated by how to manage pain and instability in the shoulder? Can you help improve the function of the torn rotator cuff and have you some strategies for minimising night pain in the shoulder? If you are unsure about treating shoulder problems then this video series is for you. It shows you how to improve humeral head position, scapular stabilisation and facilitate shoulder function. Chronic lower limb problems such as shin splints, achilles tendinopathy, plantar fasciitis, tibialis posterior insufficiency and anterior ankle impingement can be the bane of a physiotherapist’s existence, so, if this is you, and you would like to know more about how to manage acute muscle tears as well, then this series of videos is for you. Hip pain can be extremely disabling. If you want some new insights into managing trochanteric buritis, OA hip, or a painful snapping hip, then this video series is a must for your collection.